The lavishly embroidered clothing of the Huichol (pronounced "Wee-chole") Indians of Mexico reflects the richness of their culture. This easy-to-sew collection of traditional garments offers many possibilities for creative embellishment. 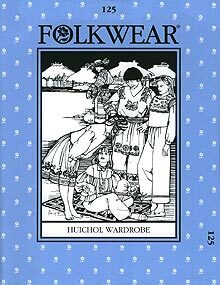 Information about Huichol dress and authentic detailing included. 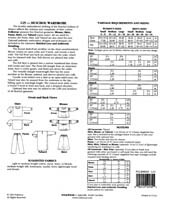 Blouse and skirt sized for Misses 6-16; all other pieces Misses small to Men's large."